Home › Reviews › What Is The 5LINX Scam? 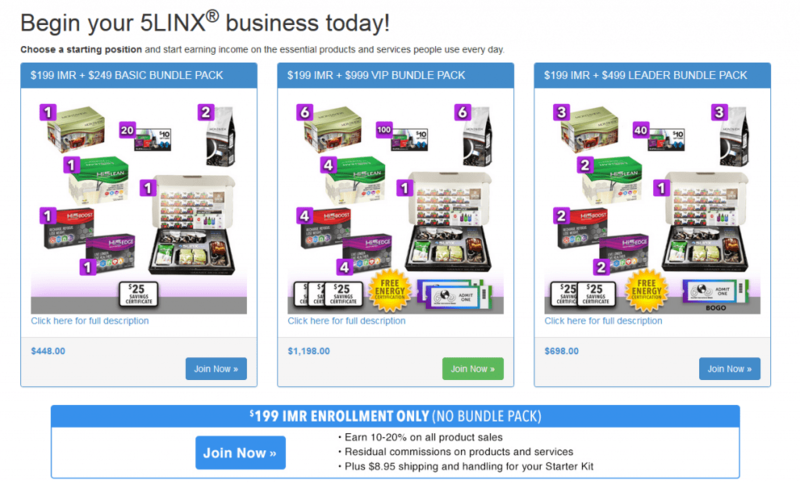 What Is The 5LINX Scam? Owners: Jeb Tyler and Jason Guck & William Faucett, Jr.
What is the 5LINX Scam? 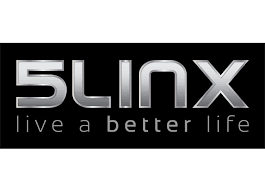 Welcome to my review on 5LINX. We’ll explore this company and see if it is worth becoming a member. 5LINX was born in the year 2000 by two men, Jason Guck and Jeb Tyler. They wanted to base their business on five main principles. 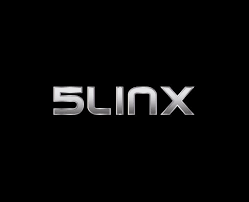 5LINX has their 5 principles which are their mantra and the reason they started their business. I think they should add transparency to this list because their needs to be some with this company. Along with their five principles, they state their representatives come first. Huh, price gouging every chance you get isn’t putting anyone first but yourself. They have 3 product lines in which to sell from. Home – This includes things such as energy, telecommunications, tech support, and security. Wellness – These products have to do with healthy inspiring products. Which includes supplements and beverages. 5LINX also has affordable healthcare with access to physicians through phone or live video. Business – These products are targeted towards saving money and increasing profits for businesses. It doesn’t stop there add another $49.99 for the platinum service, which is your website. $199.00 to become a Qualified IMR once you paid this now you must buy other stuff, like platinum services. Well, what is platinum services? Platinum services are your website. This is $50.00. Then you have to sign up for Global linx that’s another $50.00. Then you must also get points on top of giving them all this money. Points are selling products or services to people. Then you must sign up three people that are willing to pay what you just did and also earn points. Multiple ways to earn a commission. Lucrative bonuses and incentives. Like vacations, expensive cars, and profit sharing. Just keep in mind you will be making the company this amount of money and more by the time you reach these fabulous bonuses. 5LINX isn’t just giving you these bonuses. The 5LINX University, I like when a company has a training process in place to help people new to the business. Expensive to join. Most people looking to make money don’t have any money. Yet, 5LINX charges the proverbial arm and a leg to be able to sell their products. No Transparency! Holds back information for you to make an informed decision, like for example the price of the product they sell, you can’t find it anywhere on their website. This is almost blocking you from adequately researching before you jump into a business. Complicated benefits packages. It would take a couple of hours of studying to understand everything about the payment structure completely. I prefer simple. QIMR & ET all these acronyms make my brain want to shut off and move on. The never-ending need to sell you the basic stuff for your business, website, extra fees, Platinum services (49.99 a month), Global LINX VOIP, etc. This just doesn’t stop with them adding up costs. Once you have gone through friends, family, and co-workers for joining or products now where do you go for new prospects. Cold selling to strangers. Cold selling is just a horrible experience for everyone involved. Keep in mind, and they are charging you to sell their products. Product based pyramid scheme. Where you replicate buying a bunch of products than getting someone else to sign up and also buy a bunch of products, then just keep repeating this process over and over again. Commission are low and hard to earn decent money because of small commissions. Products can be purchased elsewhere and not exclusive to 5LINX and to top that off, you could start your own website and sell this stuff without all the 5LINX fees. Be mindful of purchasing training product from 5LINX the high cost of their shipping or also a handling fee. 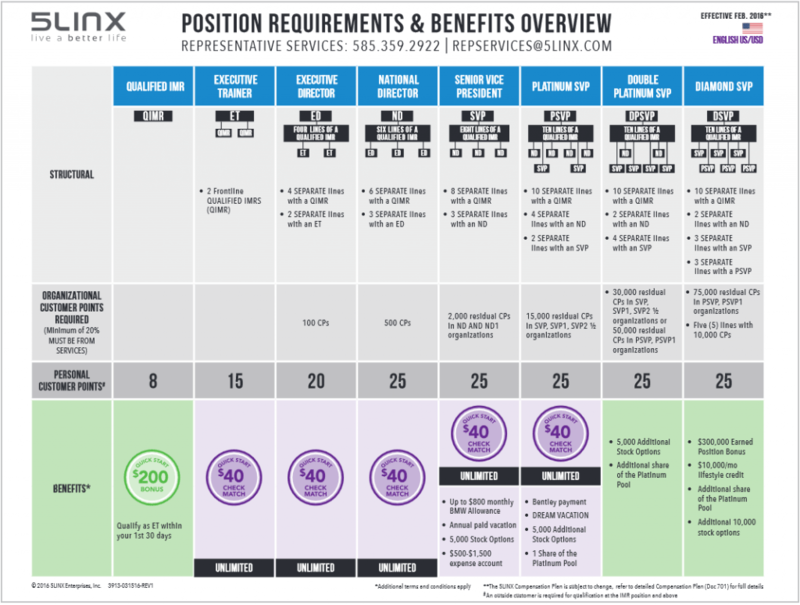 The compensation plan is designed to benefit the top people at 5LINX and not the bottom people. More focus is directed to signing people up than selling products. My opinion is to avoid 5LINX!! This is my best advice I can give you. If you really want to be successful at 5LINX I would suggest you get proficient in marketing. Marketing is important because you will quickly run out of enough leads or fresh prospects in which to sell services or product too. This is where most people fail in MLM companies. 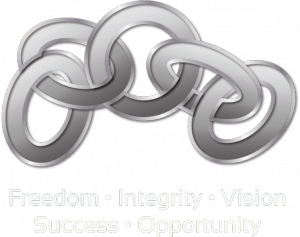 Wealthy Affiliate – No complicate selling structures, no cold selling. Simple to understand how you make money and they provide all the necessary training, all at a very affordable monthly price. You can read my full review here, Wealthy Affiliate Review. 5LINX has an online school called 5LINX University where you can get training to help make you succeed at 5LINX. They have your standard email and phone number to get a hold of someone at 5LINX. They also have Facebook Twitter and Instagram pages on social media to get support as well. Two levels there is the Customer Representative which is $99.00 or the IMR (Independent Marketing Representative) which is $499.00. This goes back to my title of this post, What is the 5LINX scam? Well, I do not think 5LINX is a scam, I do believe it is nearly impossible to succeed, as with any MLM company. The deck is stacked against you unless your a marketing guru with thousands of people in which to try to sign up. Couple this with the never-ending fees 5LINX has for you, and you’ll be hard-pressed to survive this brutal, unforgiving field. I like the idea of their five principles, but it just seems like it’s there to look and sound good. It just feels hollow to me. Their greed in front every opportunity by charging fee after fee and to structure their company to bleed your wallet of money as much as they can. Also to their high shipping and handling fees it just reeks of greed in my eyes. Padding the wallets of the top echelon of the company. Keep in mind, most MLM programs 98% of the people never see a profit. When you figure that in it’s hard enough surviving in MLM land then couple this with outrageous prices you are almost set up for failure. I would suggest you stay away from 5LINX. With hundreds of complaints online, it is not realistic to believe you will succeed in this venture. 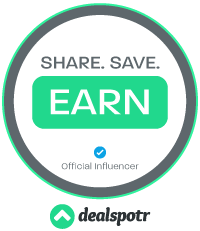 There are much easier ways to earn money, and I suggest you check out MY #1 Recommend Program below. It is the system I use. If you are looking for a 100% legit way to make money, by owning your own online business. It provides the best training online along with the most helpful and friendly community online, with all the support to get you building your online business. I recommend you read my #1 Recommended Program and sign up to get started today. You’ll be treated great and won’t feel like your the deck is stacked against you like at 5LINX.